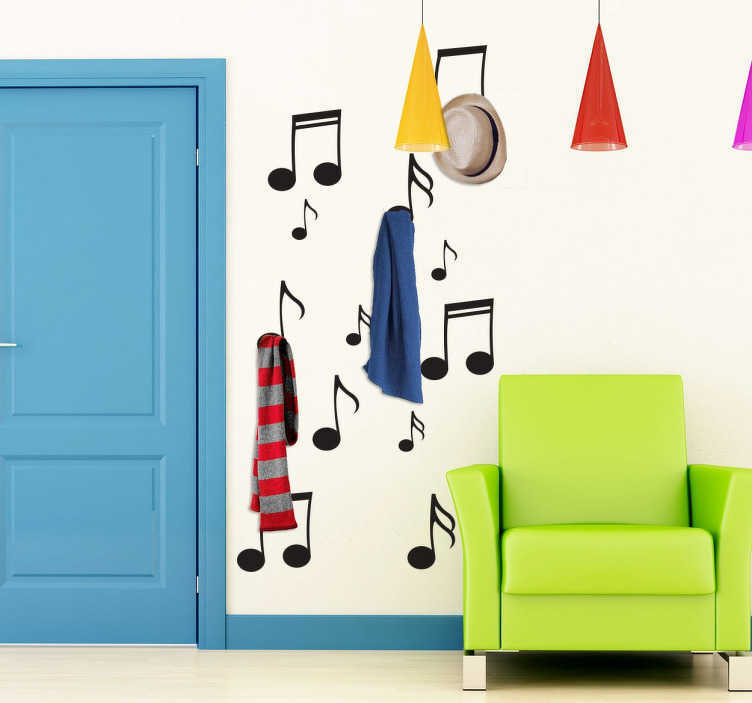 A coat hanger wall sticker for music lovers! Fantastic design where your coats can hang from musical notes! The music decal includes 14 musical notes of different sizes to give your room a musical atmosphere. You can choose from a wide range of colours to give your wall the design you want! Our music wall stickers are made from high quality, anti-bubble vinyl and are easy to apply.